In today’s episode, you get a sneak peek into what I am doing to prepare my body for pregnancy. Spoiler alert…I’m not pregnant! And I’m not currently trying to get pregnant, but there is a possibility that I will want to have another baby in the distant future, and there are several things that I am actively doing to prepare my body for pregnancy at this very moment. Today’s episode is sponsored by Steamy Chick. Learn the ancient practice of vaginal steaming to improve menstrual cycle health and fertility. Become a Vaginal Steam Facilitator for only $194 online. 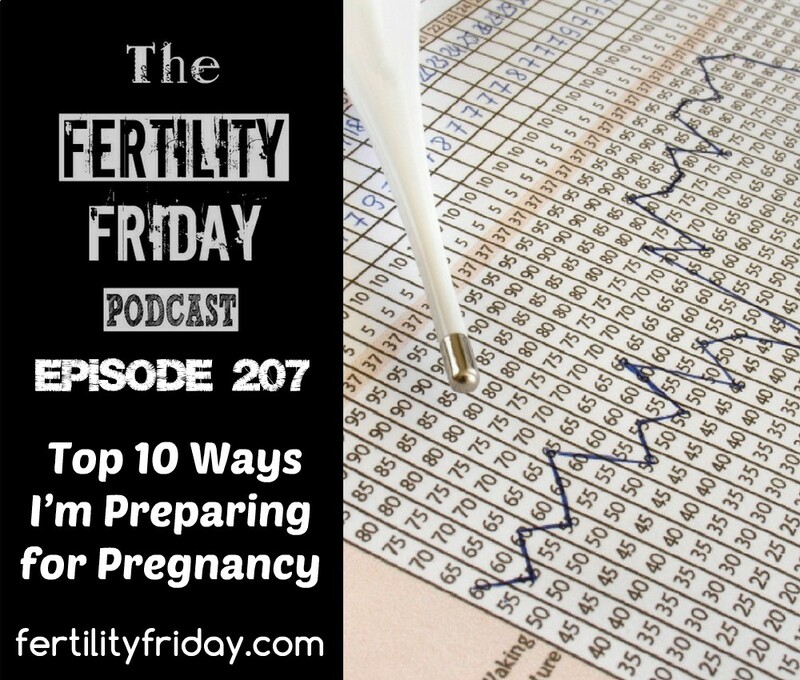 Today’s episode is also sponsored by my 10 Week Fertility Awareness Mastery Group Program. The next session begins in July 2018! You are invited to join us in the Fertility Awareness Mastery program! You’ll have an opportunity to master Fertility Awareness, take a deep dive into your cycles, gain confidence charting your cycles, and gain deep insights into the connection between your health, your fertility, and your cycles. Click here to apply now! This episode is sponsored by Steamy Chick. Learn the ancient practice of vaginal steaming to improve menstrual cycle health and fertility. Become a Vaginal Steam Facilitator for only $194 online and begin offering this service that is quickly growing in demand as women revive this advanced form of women’s health. Head over to steamychick.com and click certification for more information. So I love hearing all the ways you personally are preparing for pregnancy, but I feel like often times in your podcasts I get the feeling that there’s no way to prepare for pregnancy and be vegetarian/vegan. Which I am. So I would just love to hear ways I can support my body and nutrition without compromising this part of me and my beliefs. My husband told me about our first baby. But I am little bit scare on this. I think I am not prepared to be pregnant. But after reading this article, I am inspired to be pregnant. So I love hearing all the ways you are preparing for pregnancy. I will share it with my husband hope, so he will be happy to know this. Thanks for the inspiring me to be pregnant.